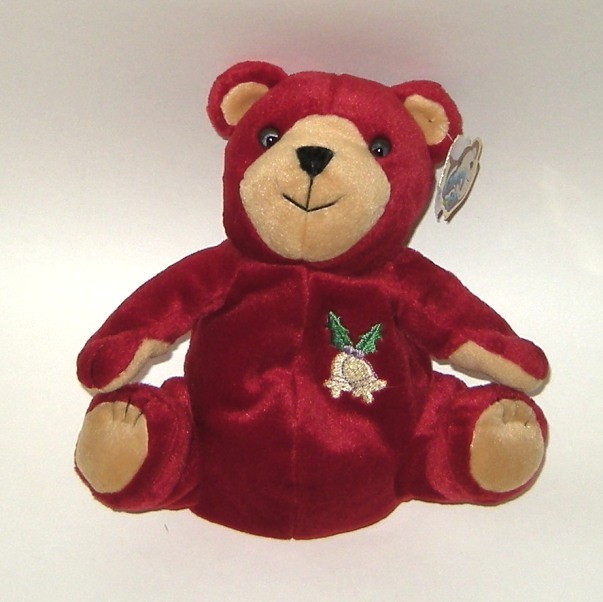 Glory Be 1999 Holiday Bells Plush Red Bean Bear 1999 Red plush bean bear Glory Be Holiday Bells 8 inches tall New with tag This is a Glory Be red bean-bag teddy bear. It's name is Holiday Bells, #01983 of 19,999. It has embroidered golden bells and holly leaves on its chest. It measures 8 inches tall. New with tag. Note: All our items for sale are pre-owned and come from various sources. Though cleaned, sanitized and deodorized, we can't guarantee they are free of all odors, allergens, irritants, or other potential issues. If this may be problematic for you, please pass us by. Thank you.